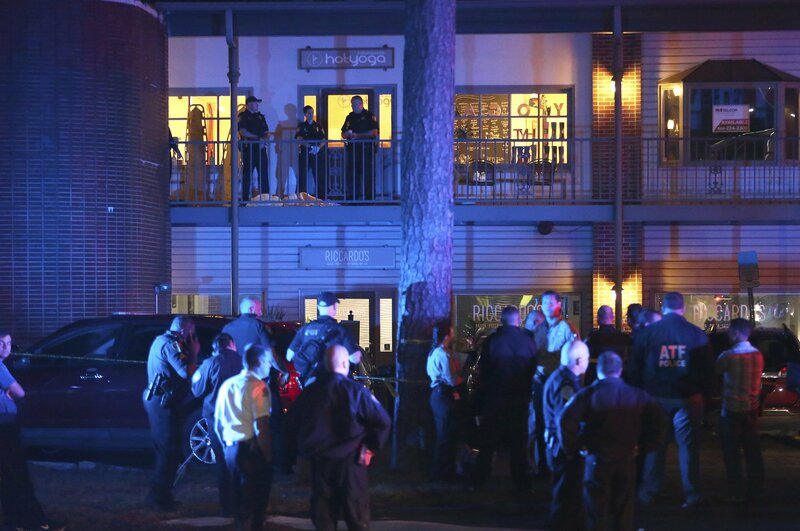 Gunman kills 2, wounds 4 at Tallahassee, Florida yoga studio, suspect also dead. The suspect also died of a possible self-inflicted gunshot wound. Police know his name but aren’t releasing any details yet about the shooter. There were indications people fought the gunman and some tried to save others. Responding officers arrived in about three minutes and found the gunman already dead. The six gunshot victims were taken to hospitals. Two people died at the hospital and the other four are in critical condition.